SBU is a free eight-week online video course. Topics include establishing a brand, hiring a solid team, raising capital, creating marketing buzz, attracting new customers, and using the best tools and gadgets for your business. The program also provides entrepreneurs who register online at www.blackenterprise.com/sbu a chance to win more than $50,000 in prizes. 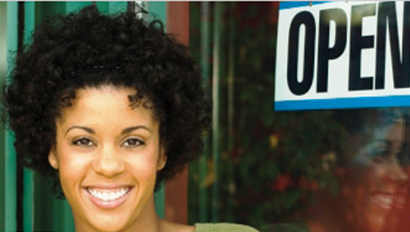 Entrepreneurs looking for practical resources and expert guidance on how to start and grow profitable enterprises can now tap into the Black Enterprise Small Business University, or SBU. Powered by Dell Inc., the world’s No. 3 supplier of PCs and provider of technology business solutions, SBU is a free eight-week online video course. Topics include establishing a brand, hiring a solid team, raising capital, creating marketing buzz, attracting new customers, and using the best tools and gadgets for your business. The program also provides entrepreneurs who register online at www.blackenterprise.com/sbu a chance to win more than $50,000 in prizes. SBU includes customized gamification features that allow registrants to gain points for participating and to win a grand prize package that includes $5,000 in cash, a $10,000 Dell office setup, a free one-on-one consultation with a small business development expert, a profile in Black Enterprise magazine, and a one-year gift subscription. A runner-up prize consists of a $6,000 Dell office setup, a free one-on-one consultation with a small business development expert, a profile on BlackEnterprise.com, and a one-year gift subscription to Black Enterprise magazine. Launched in April, SBU aims at assisting entrepreneurs in various stages of business development, including part-time entrepreneurs, business startups, and established enterprises. Original tutorials feature a team of rotating business, marketing, and technology experts. Among SBUs all-stars are author and SmallBizLady Melinda F. Emerson; Buzz Marketing Group founder and CEO Tina Wells; Young Entrepreneurs Council founder Scott Gerber; The Money Coach and personal finance author Lynnette Khalfani-Cox; SocialPeople.tv founder James Andrews; and digital lifestyle guru Mario Armstrong.